39. 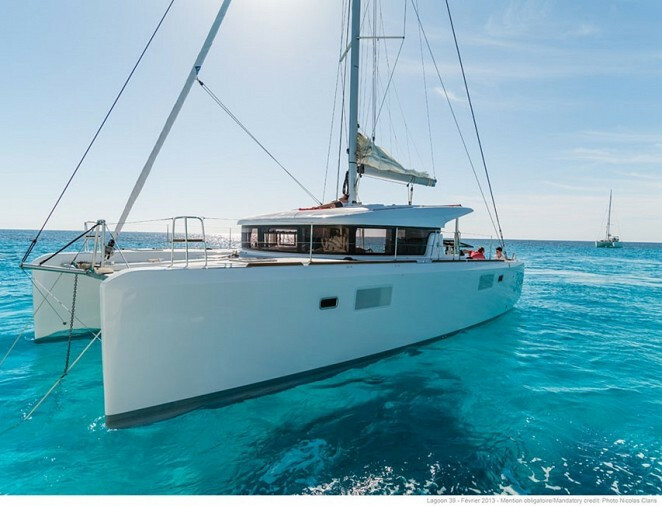 One of the major changes to Lagoon's new 39 is that the mast is located much further aft than on most catamarans which, according to the designers, improves performance and considerably reduces pitching. The interior and exterior living areas are designed with continuous horizontal and fluent lines to merge inside/outside living spaces into one for more spaciousness and improved safety.